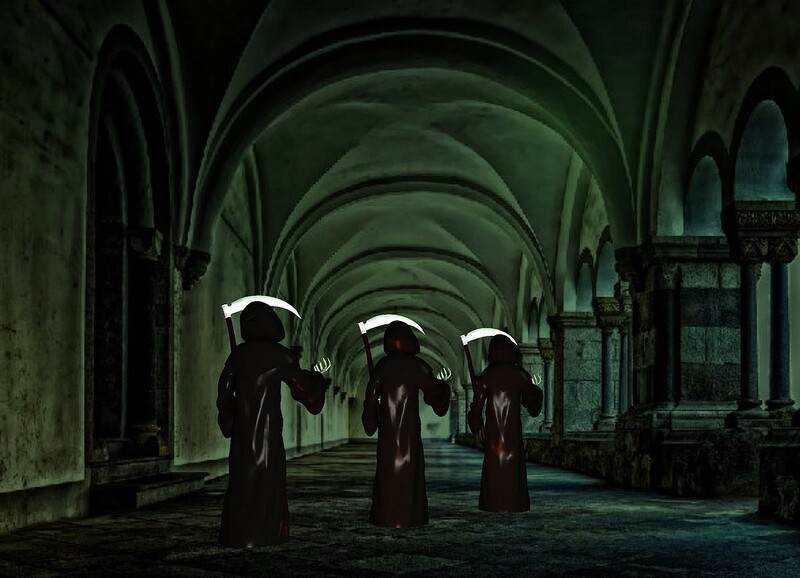 Input text: The image backdrop.a 1st 6.5 feet tall grim reaper.a 2nd 6.5 feet tall grim reaper is 1 feet behind the 1st grim reaper.he is right of the 1st grim reaper.a 3rd 6.5 feet tall grim reaper is 1 feet in front of the 1st grim reaper.he is left of the 1st grim reaper.malachite green sun.a rust light is 2 feet behind the 1st grim reaper. Great!! somehow missed this one earlier.